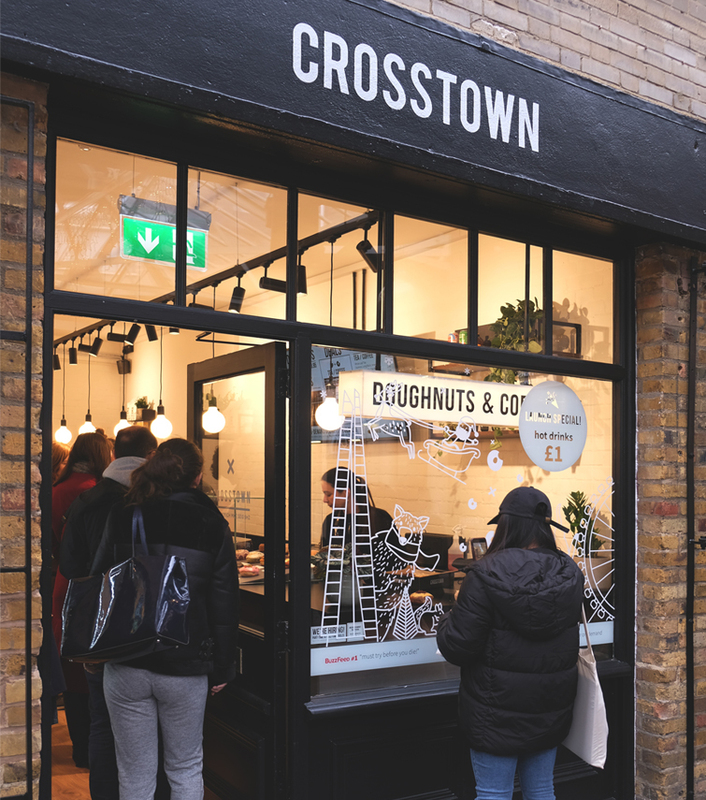 On Monday 26th November we opened the doors to Crosstown Greenwich, our 9th permanent store in London. 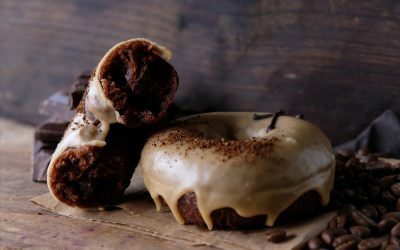 This is the first Crosstown doughnut and coffee bar to feature outside of Zone 1 London, and the first south of the river. 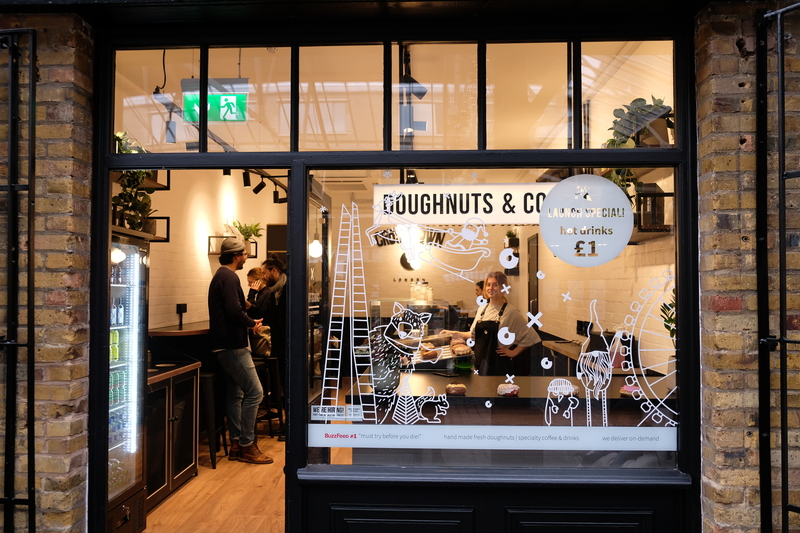 Our usual store design aesthetic of clean lines and simple detail is complimented with a muted palate of black, white and natural wood, allowing our hand crafted doughnuts and specialty coffee to do all the talking. 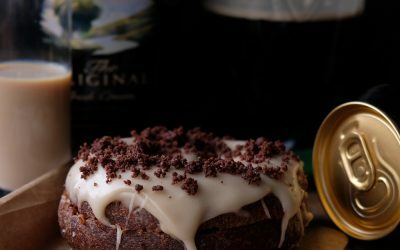 With our doughnut selection getting a festive twist, we have our all-time favourites on the menu, as well as our Christmas range which includes the vegan Winter Fruit Crumble, Christmas Crème Brûlée and Mince Pie dough bites. 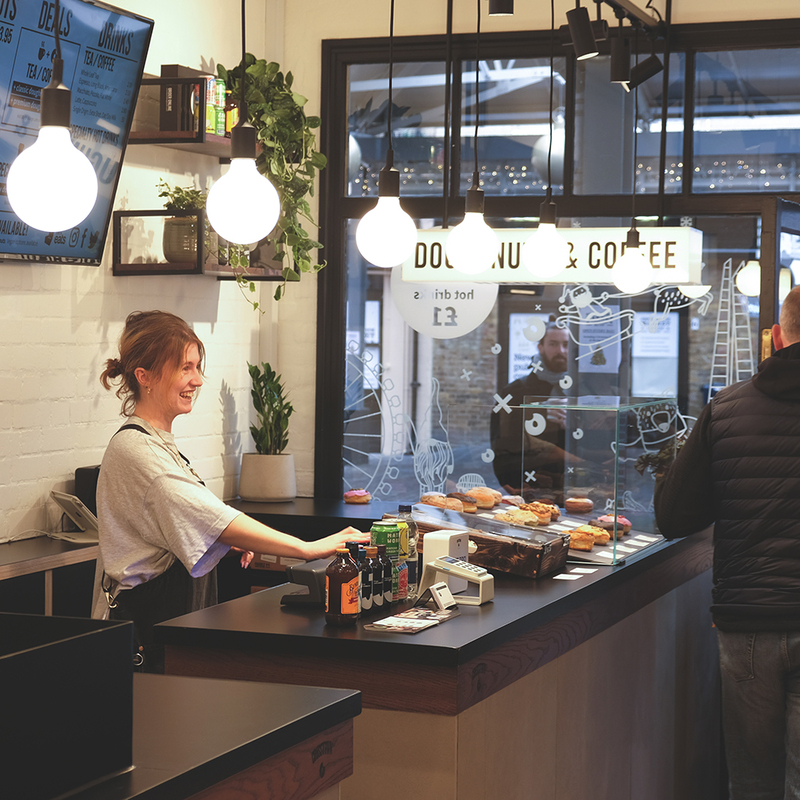 Located in the historic Greenwich Market, we’re be serving up fresh in-store seven days a week, and delivering on-demand to locals faster than ever, with orders taken directly from our website. An ancient village on the banks of the River Thames, Greenwich is rich in culture and home to the famous Cutty Sark, Maritime Museum and Greenwich Observatory. 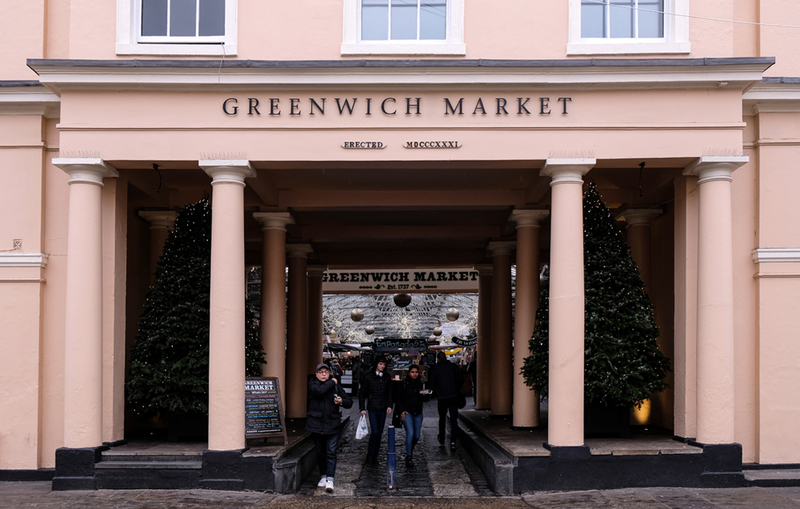 The market, which was assigned to the Commissioners of Greenwich Hospital in 1700, has traded fresh food since the 1830’s and has become a popular destination for visitors to London and locals alike. On the hill in Greenwich Park, overlooking the River Thames, the Observatory was influential in the history of astronomy and navigation and sits on the prime meridian, giving its name to Greenwich Mean Time and putting Greenwich on the international map. Across the road from the market, adjacent to the Pier and Greenwich University, sits the Cutty Sark. A clipper built in the 19th century to transport tea, and later wool, around the world, it once held a 10-year record as the fastest ship from Australia to Britain. The Cutty Sark brought a slice of Antipodean culture to London, which is something which we’re proud to follow at Crosstown. 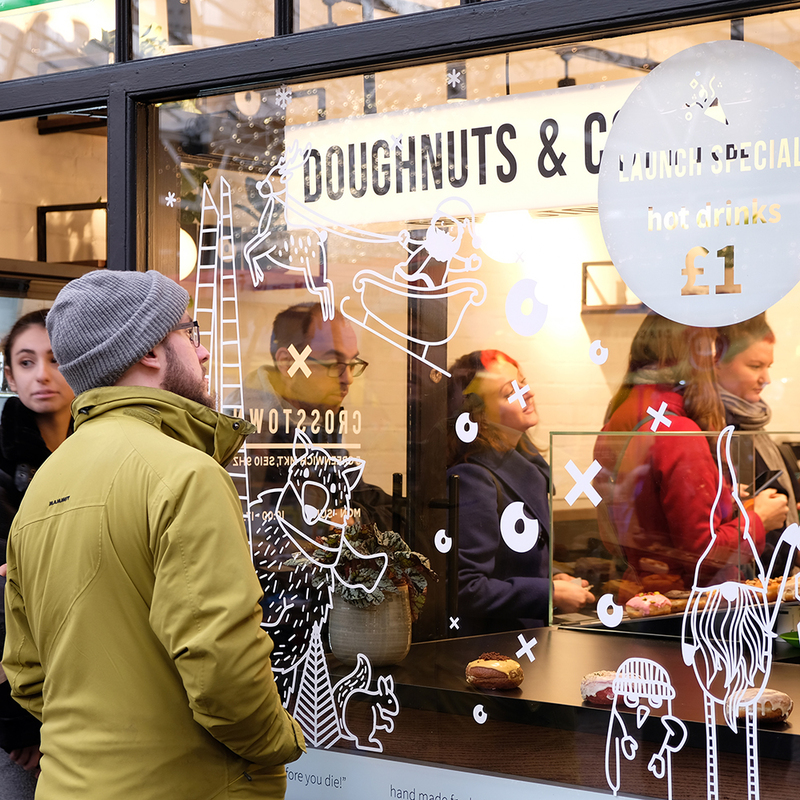 Alongside our selection of hand crafted doughnuts, made using the finest quality ingredients, we’re serving up speciality hot drinks including Caravan coffee which will be on offer for £1 until 9th December! Crosstown Greenwich is open 10:00 – 17:30 every day within the Greenwich Market. Online and on-demand orders can be placed here.